View important updates by CyFair VFD. Leadership Training through GIANT's Best Fit Team Experience with Harris County Emergency Services District #9 Commissioners and Counsel, Cy-Fair VFD Board of Directors and Chief Officers. Working together to better serve our Department and our Community! Since 1985 station 9 has stood as a beacon of safety on HWY 6. Last night, station 9 members moved to their new facility located a short distance away at 7188 Cherry Park Dr., Houston, TX 77095. This move represents a commitment by the @CFVFD and ESD #9 to upgrade facilities and equipment to continue to respond to the needs of the community. Stay tuned for the dates and times of the open house that we are planning for the first of the year. The @CFVFD would like to remind everyone, LOOK BEFORE YOU LOCK! Firefighters from The Cy-Fair Volunteer Fire Department and deputies from the Harris County Sheriff's Office will lock themselves in a vehicle to demonstrate and explain the effects of being trapped as temperatures rise. Join us for "The Hot Car Demo" June 2, 2018 at 10:30 a.m. at the Home Depot Copperfield. Watch firefighters and deputies sweat it out to raise awareness. Recruitment for CFVFD Station 13 (Bridgelands Community) has begun! Want to make a difference in your community? Looking to be a part of a great team? Be part of the beginning of a new fire station! You will receive the very best training with state-of-the-art equipment and will have the ability to directly assist a growing community that needs your support. For more information, head over to our "Become a Member" page today or fill out the “Contact us” form and someone will contact you to answer all your questions. With Station 13 now open, your chance to make a difference, is now! The Cy-Fair Volunteer Fire Department would like to invite the community out to the grand opening of our newest station. Station 13 was built in the Bridgeland subdivision to better serve and respond to the needs of residents in that area. Station 13 is located at 10222 Westgreen Blvd., Cypress, TX 77433. The grand opening is scheduled for August 25, 2018 from 10 am to 1 pm. There will be a ribbon cutting, push in ceremony, games, and fun for everyone. Come out to meet the men and women of station 13 and tour the station. Follow us on Facebook for further updates. Hope to see you there! 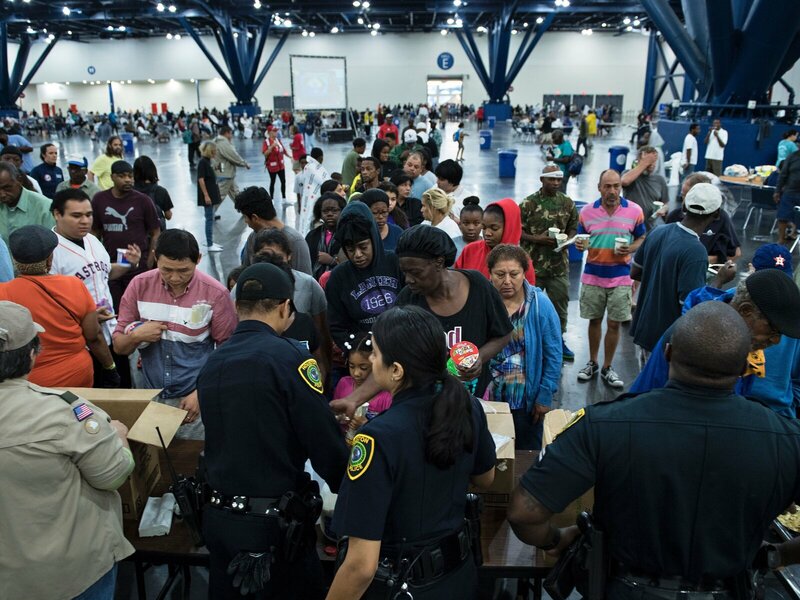 FEMA Administrator Brock Long estimated Monday that 30,000 people may need shelter, and some 450,000 may qualify for federal flood victim assistance. Many organizations are doing vital work to help save lives and give comfort. Here's a list of some of the organizations that are undertaking this work and how you can contribute to them. Cy-Fair VFD is not endorsing or vouching for any of these groups. It's a good idea to do a bit of research on any charity before you donate to it. One place to start is Charity Navigator. Many Local Church Groups are actively seeking money and supplies for Hurricane Harvey victims. Please see the list at the end of this post for the types of items they generally need. Please stick to items on this list, as sorting non-standard donations is not helpful and takes extra time/resources. The SPCA of Texas is organizing evacuations of pets in Texas (including 123 cats from a shelter in Corpus Christi), and offers resources on pet-friendly housing for evacuees. American Humane has deployed two 50-foot rescue trucks staffed with volunteers, veterinarians, and first-responders. They're also distributing 100,000 pounds of pet food and assisting with shelter operations in Houston. Below are the generic items that most charities and aid organiztions will accept. Please stick to the items on this list. The key to large-scale donations is standardized items. Resources are limited, and volunteers are even more limited. If charities can group products into general categories or "bins," it makes distribution much faster. The Harris County Office of Homeland Security & Emergency Management (HCOHSEM) remains at Level 1 (Maximum Readiness). The center of Tropical Storm Harvey is moving back into the Gulf of Mexico and causing additional heavy rainfall in Harris County. The National Weather Service expects at least another 5-7 inches of rain with as much as 2 inches per hour. The Army Corps of Engineers began a controlled release of the Addicks and Barker Reservoirs at 1:00 AM, 8/28/17. SAFETY - STAY OUT OF FLOOD WATERS! STAY OUT OF THE FLOOD WATERS!! As the rain starts to lighten up for brief periods, please resist any urges to walk through or play in the flood water. Flood water is extremely dangerous. It contains oils, chemicals, grime, and trash picked up as it flows down the streets. Harris County 9-1-1 call centers are experiencing EXTREMELY high call volume. Calls are backed up, and call takers trying to process calls as quickly as possible. Houston 9-1-1, Harris County Sheriff's Office and other centers are VERY Busy. Be Patient. Your call is in the system don't hang up. If you hang up, that will take longer for ALL calls to be answered. Only contact 9-1-1 for life-threatening emergencies, such as rescues. 8/26/17 - Tornado Warning Remains in Effect for Cy-Fair Area! ...A TORNADO WARNING REMAINS IN EFFECT UNTIL 500 PM CDT FOR SOUTHEASTERN GRIMES...EAST CENTRAL WASHINGTON...SOUTHWESTERN MONTGOMERY...NORTHEASTERN WALLER AND NORTHWESTERN HARRIS COUNTIES...At 421 PM CDT, three separate rotating severe thunderstorms are capable of producing a tornado in the warned area. One was located between Addicks and Jersey Village. The second was over Highway 290 near Cypress. The third a couple miles east of Waller on the Harris and Waller County line. All were moving northwest at 35 mph. HAZARD...Tornado.SOURCE...Radar indicated rotation.IMPACT...Flying debris will be dangerous to those caught without shelter. Mobile homes will be damaged or destroyed. Damage to roofs, windows, and vehicles will occur. Tree damage is likely. Locations impacted include...Tomball, Jersey Village, Pinehurst, Spring Branch North, Addicks ParkTen, Spring Branch West, northern Eldridge / West Oaks, Hockley,Waller, Magnolia, Stagecoach, Todd Mission, Fairbanks / NorthwestCrossing, Willowbrook, Westbranch, Cypress, Greater Inwood,Carverdale, western Acres Home and Spring Branch Central. Storm Safety Tips for Pets: Have a two-week supply of pet food and water on hand.Secure a one-month supply of medications.Make sure pets are current on vaccinations.Put pets' vaccine and medical records and an extra leash in a sealed zip lock bag. You may print these records from each pet's Petly page. Logon to https://www.petly.com/ to visit or create a page for each of your pets.Have an appropriate size crate with a stable door closure available for each pet.If forced to evacuate, bring all pets with you in crates, or place them where they can receive care, possibly even long-term.Move pets' sleeping area, beds and blankets if they are nearby windows or items that might fall on them. (It will be comforting to both pets to stay to each other during storms. )Be vigilant about the condition of outdoor fencing surrounding pets' exercise areas. Check it now and make repairs.Locate and bring outdoor pets indoors now.Have a nylon or leather (not choke or pinch) collars with identification tags on dogs. A breakaway or stretchy collar with identification tag is appropriate for cats.Keep a favorite toy or blanket per pet with him/her.Place a pet rescue decal or sign on your front door/window so first responders know pet(s) are inside.If your pet has a microchip, visit the chip's online registry to make sure address and contact information is current.Take current photos of your pets (helps identify them if they get lost).Create a small medical kit "go" bag and include bandage material; non-stick bandage material or clean strips of cloth; milk of magnesia or activated charcoal (to absorb poisons or toxins); muzzle (a men's necktie will work in a pinch); 3% hydrogen peroxide; digital thermometer; eye dropper; and a large towel or blanket (to use as a stretcher). We hope all of our citizens and their pets remain safe and sound throughout Hurricane Harvey. The NOAA NWS National Hurricane Center has sent out updated maps tracking Hurricane Harvey. These maps are as of 1900 today. WITH WIND SPEEDS OF 130MPH...HARVEY IS NOW A CATEGORY 4 HURRICANE! More information will follow as it comes available. This morning, (8/24/2017), Cy-Fair VFD Chief Amy Ramon called an Emergency Meeting with her Command Staff to ready themselves for the coming storm and rains from Harvey. Anywhere from 10-20" of rain is expected in the next 72 hours. The CFVFD will be ready with an arsenal of rescue boats, high-water vehicles and extra manpower to aide Cy-Fair and its surroundings. Please take be sure to prepare yourselves with water, food, batteries, first aid kits and more. We have attached the American Red Cross Hurricane Checklist for your needs. For the second year in a row, Cy-Fair VFD has received this prestigious award from the American Heart Association for continuing cutting-edge training in the world of Emergency Medical Services. We will always continue to strive for excellence in our community! Learn how you can nominate an individual or organization for the HeartSaver award by clicking HERE! Cy-Fair VFD Hiring Qualified EMS Staff! Are you an EMT-B? EMT-I? EMT-P/LP? Join Cy-Fair VFD today!! We offer very competitive salaries, award winning training, and state-of-the-art technology with benefits and room for upward growth. Join a winning team that strives to be the best it can be, every day!